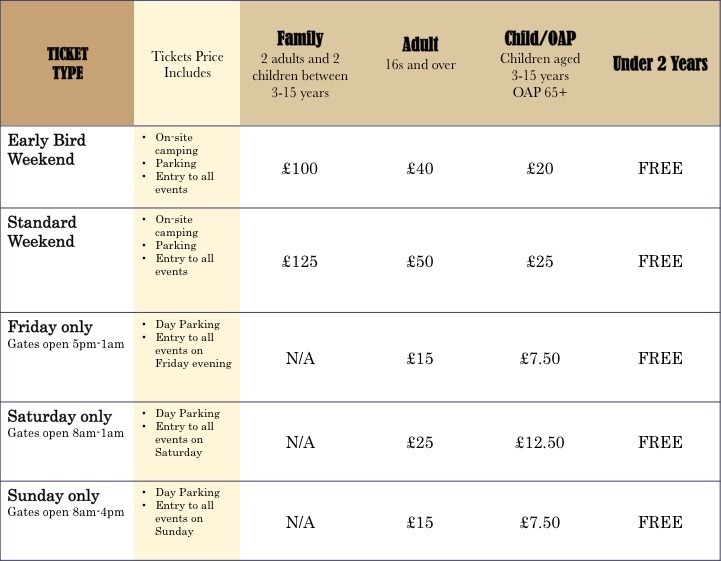 The link to buy tickets is below the table which sets out the prices for all the different tickets you can choose from for Mekonville. If you would like to come but don’t want to pay we are looking for volunteers – please contact us on info@pettafiesta.com. PETTAUGH RESIDENTS are entitled to one free day ticket or one half-price weekend ticket per person on proof of residency. Please contact us directly for tickets at info@pettafiesta.com.